A photo taken August 17, 2018 in my room at Quezon City showing newly bookaliked books of Karl Marx and Toni Negri. Updates from Previous Research Log 1.0 (July 9, 2017): As of this writing, not much has transpired in my research but a lot of things have happened. Although, a few of the major achievements in the past few months were the approval of my concept paper (August 31, 2017) and the constitution of my thesis panel (January 15, 2018), I have yet to work on a thesis proposal draft which I plan to write this coming June-July 2018 just in time for the start of the first semester of AY 2018-2019 in August. Below is the timeline of events and accomplishments that transpired for the last ten to twelve months of my life. May 16, 2017: Publication of NANG 2 where I contributed an essay on Lav Diaz and Hegel. Photograph of my contribution in NANG 2. June 2017: Publication of Plaridel Journal Article: Cinephiles! as Post-Zine: Cinephilia in the Age of Digital Networks. July 9, 2017: First visit at Lav Diaz’s Residential Place in Marikina with Jayson Fajardo as volunteer research assistant (link). Data gathered were primarily production notebooks and filmed and unfilmed scripts (for photocopy). July 16, 2017: Second visit at Lav Diaz’s Residential Place in Marikina with political film archivist Rosemarie Roque and experimental filmmaker Epoy Deyto (link). Data gathered were primarily other production notebooks and Rose’s initial viewing of the collection. We also viewed raw footages of Melacholia which was shot in color! Date: July 16, 2017 (Photo c/o Rose Roque). July 23, 2017: Meet-up with Hazel Orencio at Sta. Lucia Mall to scan some of Lav Diaz’s old family photographs. The photographs are meant to contextualize and triangulate Diaz’s personal accounts of his history. August 11, 2017: Started reading Karl Marx’s Economic Philosophic Manuscripts of 1844. Started research on Dialectical Materialism, Marxist Philosophy. August 31, 2017: Received comments regarding my thesis concept paper. Approval of my topic. October 24, 2017: Publication of my journal article titled Deconstructing the Coverage of Benham Rise and the Territorialization of Conflict at Asian Politics and Policy Journal. October 26, 2017: Started reading Hegel’s Science of Logic (A. V. Miller version). First venture into Marxist philosophy. November 18, 2017: Partially completed basic writings of Marx. My collection of Marxist texts. Taken November 18, 2017. December 30, 2017: In-Depth Reading of Hegel’s Science of Logic and Karl Marx’s German Ideology. January 01, 2018: Started reading Karl Marx’s Capital Volume 1 Introduction By Ernest Mendel. January 15, 2018: Submitted my proposed thesis panel to UP CMC GSD. March 07, 2018: Arranged printed files on Lav Diaz. March 29, 2018: Finished reading Ernest Mendel’s introduction to Capital: Volume 1. Upcoming Tasks. My target for June and July 2018 is the proper drafting of my thesis proposal and I want this blog to be part of the process. There are several tasks abound namely (1) building extensive annotated Review of Related Literature for my proposal, (2) build an effective methodology to consolidate extant materials I already have, and (3) to write a draft of the proposal that is readable and understandable with sound arguments. The signed EO is based on the draft prepared by the labor sector over the past year, as ordered by Duterte, yet the language has been heavily watered down and rendered inutile. Virtually all references to contractualization have been stripped out of the government version. The EO 51 merely reiterates anti-worker provisions in the labor code that has in fact legalized contractualization and led to the prevalence of various contractual employment schemes. EO 51 shows Duterte’s lack of regard to contractual workers of the country. As part of the thousands of contractual workers in the government, I heavily denounced EO 51 for obviously undermining our rights to access tenureship benefits. Readings. I’ve recently been reading Stavros Tombazos’ book Time in Marx: The Categories of Time in Marx’s Capital (Brill Publishing, Leiden & Boston, 2014) alongside several books namely Karl Marx’ Capital Volume 1 (Vintage Books, 1977), Gilles Deleuze’s Cinema 1: The Movement-Image (Pinetreebooks2, UK, Essex, 2000) and Cinema 2: The Time-Image (University of Minnesota Press, 200X), David Couzens Hoy’s The Time of Our Lives: A Critical History of Temporality (The MIT Press, Cambridge, Massachusetts and London, England, 2009) in preparation for my conference article to be presented during the Marx @ 200 Conference this coming May 26, 2018 at the College of Engineering. 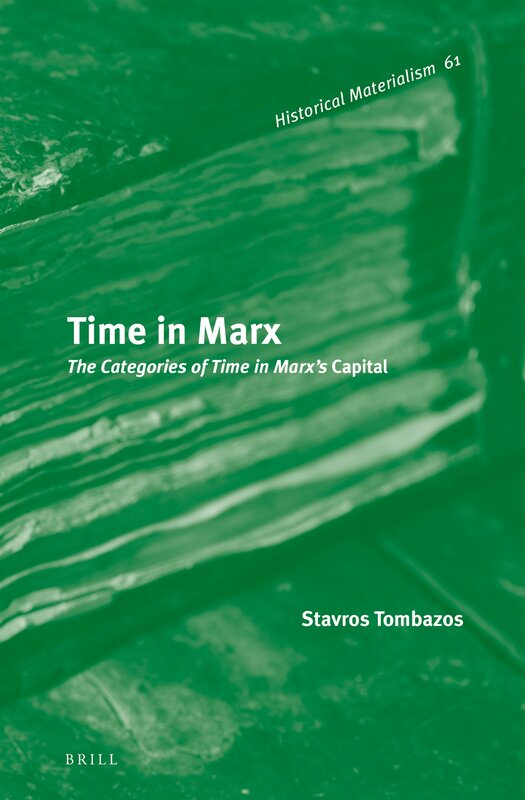 Tombazos’ book analyses the various categories of time in Marx’s magnum opus work Capital. It’s quite interesting to see how Tombazos stresses the importance of locating his arguments on a well-founded claim that “Capital, like any other economy, is a specific organisation of time obeying its own immanent criteria” (Tombazos, 2014, p. 3). Tombazos uses the concept of time as guiding principle in re-exploring the themes in Marx’s Capital. Written at the height of fall of socialist states in the late 1980s, the book’s re-exploration of Marx looks into the possibility of reconnecting the post-Cold War Marxist milieu back to the basic tenets of Marxism. There is a promise of reinvention in the way Tombazos divides his chapters. He clearly wants to follow Capital’s trajectory from Volume I to Volume III, with each volume corresponding to a concept of time he assigns. Volume 1 corresponds to ‘time of production’, which Tombazos describes as a ‘linear and abstract temporality, homogeneous, a time that is supposed to be calculable, measurable.’ Volume 2 corresponds to ‘time of circulation’ which concerns the turnover of value, while Volume 3 corresponds to ‘organic time’ where the time of production unites with the time of circulation. Last May 26, I presented my paper titled Marx Contra Deleuze: Towards a Materialist Constitution of the Cinematic Sign at the MARX @200 Conference: The Continuing Relevance of Marx’s Thought to the Struggle of the Filipino People. My paper presentation for Marx @ 200 Conference can be downloaded here. The PowerPoint Presentation can be downloaded here. Histoire(s). I’ve recently rewatched Histoire(s) du Cinema for the 3rd time since 2010- 2011. It’s been 7 years. The first time I’ve watched it was through a direct download from SMZ. It seems like one of my first entry points in watching films circulated via online private trackers and websites like SMZ. Seven years after, it remains more than enigmatic, dense, and culturally alienating. 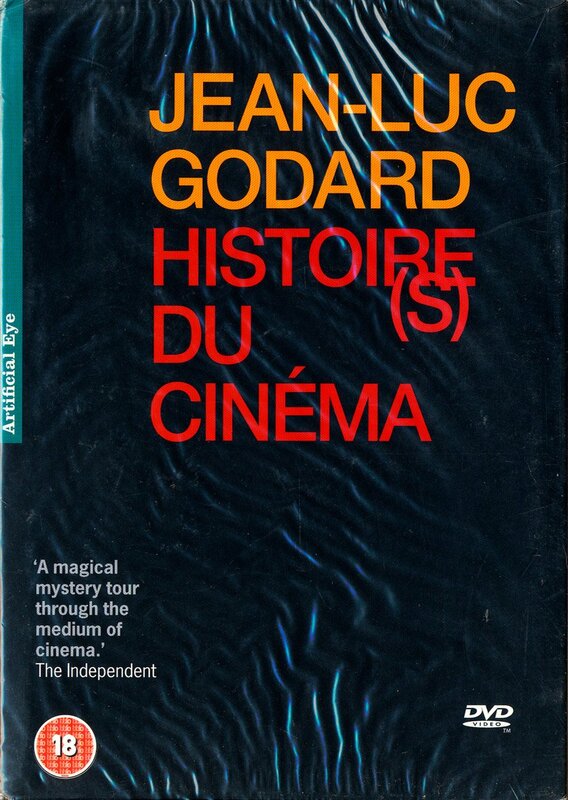 I’m thinking of pursuing a film criticism project on Godard’s impenetrable histor(ies) of cinema written from the material conditions of the Third World. Deplorable, Disastrous, Politically Vacuous Hollywood. Ever since I watched the deplorable Avengers: Infinity War (2018), I have not recovered fully from a disappointing Hollywood mix of bad humor and lackadaisical depiction of heroism. A group of Lyceum of the Philippines students, led by Nadine Alexi Visperas and Bren Allen Ginabo, approached me as resource person for their project on Hallyu or the South Korean Wave They asked me to comment on South Korean Cinema’s highest grossing film The Admiral: Roaring Currents (2014). Of course, I’m more than willing to grant their request. Radical Meme-tic Misappropriations. Epoy Deyto and Vic Teaño are cooking some good meme-inspired experimental films. I’ve previewed both their works and I’m excited for both of them. On Food Movies. Aside from The Admiral, my detour away from Hollywood is a set of films categorized in KissAsian.ch as ‘food movies‘. I had fun watching two gay-themed food films namely the Korean film Antique (2008) and the Japanese film Bitter Sweet (2016) not only because of the food depicted in the films, but also their unusual plot lines that are far more engaging than the usual American food movies like Burnt (2015). Meanwhile, Luca Guadagnino’s I am Love (2009) is a whole different film altogether as it explores the sensuousness and intensity of food and infatuation. 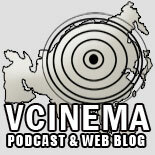 As VCinema Contributor. 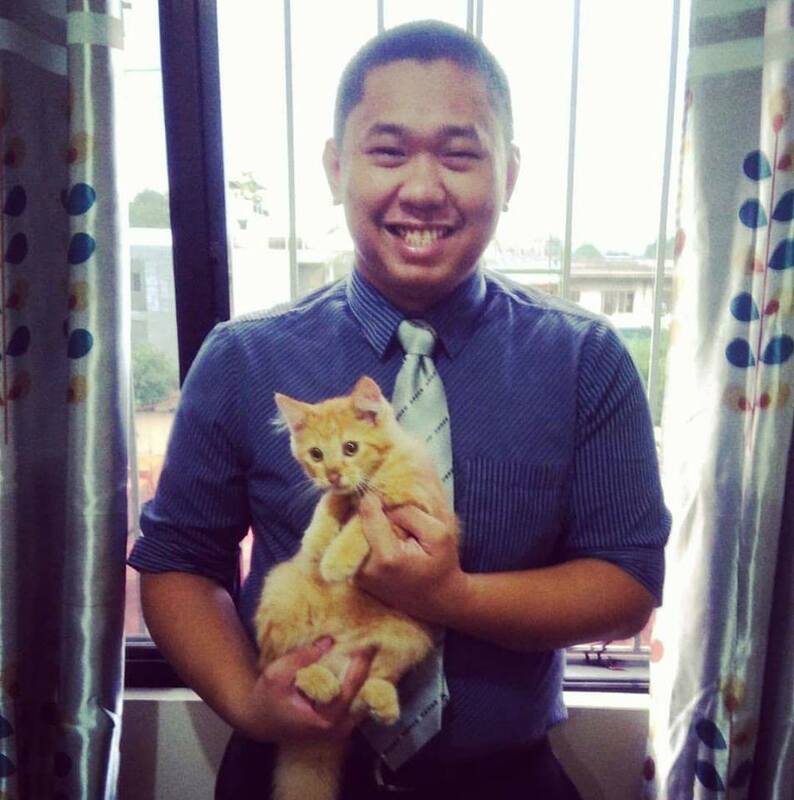 I’ve recently taken up additional writing assignment as a contributor/film reviewer/film critic to VCinema, a Podcast and Web Blog specializing on Asian Film, alongside my thesis writing and my writing/AVP editing job at BFAR. So I’m pretty much occupied by writing on film in general. I’ve started contributing film review essays last month. My first published essay was on John Torres’ experimental feature People Power Bombshell: A Diary of Vietnam Rose (John Torres / PH / 2016). I’ve also written on Never Not Love You (Antoinette Jadaone / PH / 2018), By the Time It Gets Dark (Anocha Suwichakornpong/ Thailand / 2016) and my latest review is on Ashley Duong’s documentary A Time to Swim (Ashley Duong / Canada/Malaysia / 2017).